Oppo has been teasing the upcoming F9 for a couple of days now, with its small triangle-shaped notch and VOOC charging. 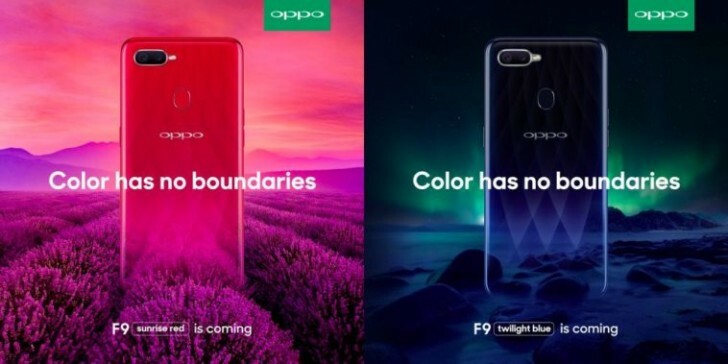 The online campaign continues with the promo images below, which present us with two color versions of the handset: Sunrise Red and Twilight Blue. 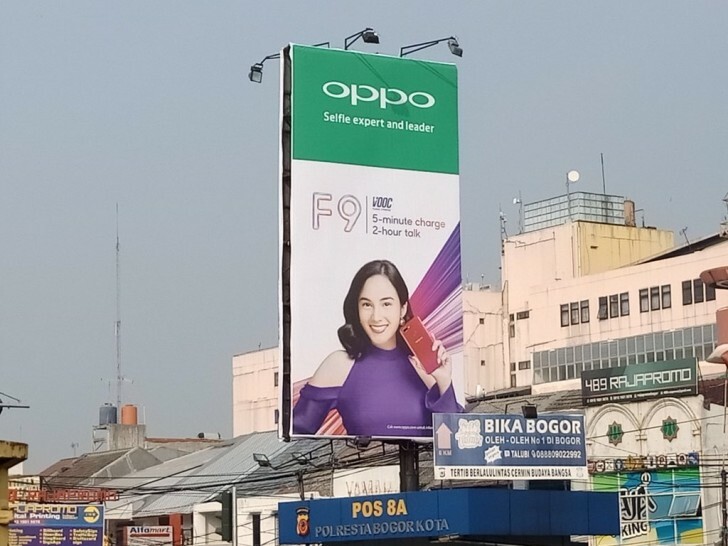 At the same time, the company has started plastering billboards across Indonesian cities, showcasing the phone in the hands of actress Chelsea Islan. The billboards tell us that VOOC will enable two-hour talk time from just a five-minute charge. 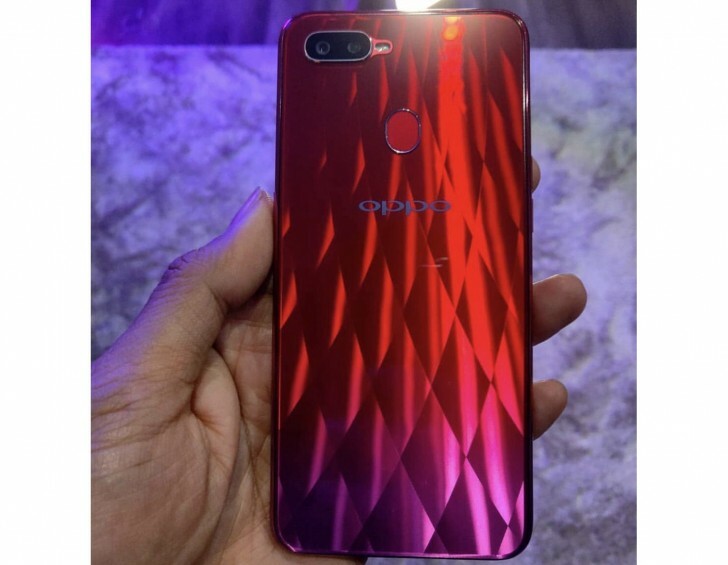 The Sunrise Red variant of the F9 has also been leaked in a hands-on image with its diamond-like pattern and hue that changes depending on the angle the light hits the rear at. The smartphone will launch in Vietnam on August 15, and that may be the date on which it becomes official across Asia. 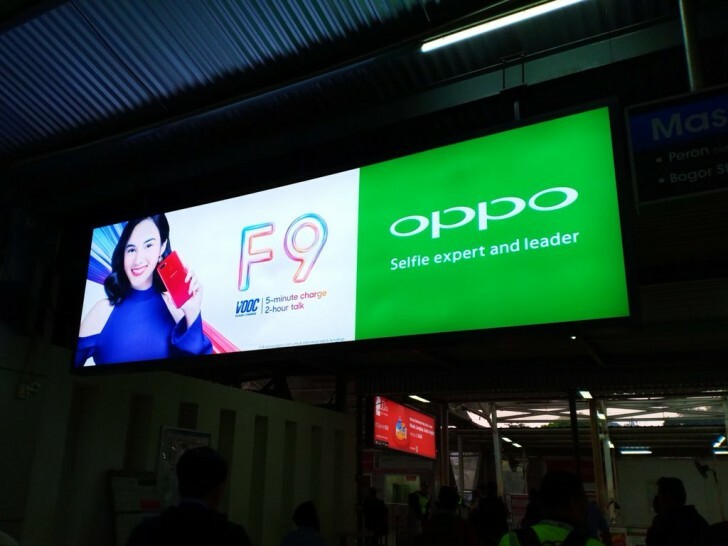 That said, it's likely that the F9 Pro will launch in India first, with the F9 going to Malaysia, Indonesia, and Vietnam before any other places. According to past rumors, the F9 Pro has a 6.3-inch 19.5:9 touchscreen with 1080x2280 resolution and a 90.8% screen-to-body ratio, dual 16 MP cameras on the rear, a 25 MP selfie snapper, 128GB of expandable storage, 6GB of RAM, and the MediaTek Helio P60 chipset at the helm. It will have dual-SIM functionality and 4G support, while a 3,400 mAh battery will keep the lights on. We expect the F9 to come with lesser specs, but these haven't been outed yet. For the guy that keep getting his comment deleted. Just stop please. Being polite is part of the rule in case you havent notice. I know what beautiful is and your heart is not one of them. yeah and you never said color(you referred to the whole panel wich means shape and color).